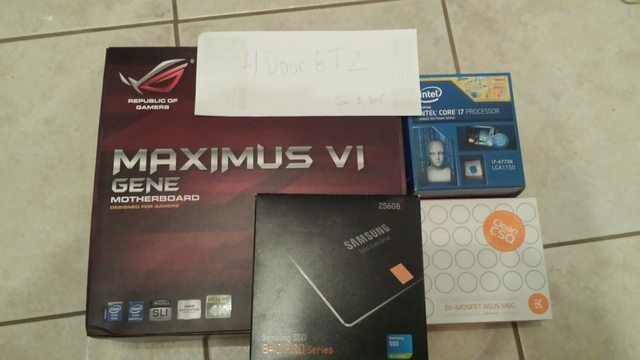 SOLD: Asus Gene VI, EK mosfet wb, 4770k, 256gb 840 pro. Opened, not used. Since it took me too long to build my recent project (was waiting for the watercooling setup to work itself out) I never got my desktop up and running. Fast forward a year and I've upgraded before even ever booting it up. So I have some spares for sale, Opened boxes, installed but never run, then disassembled and re-boxed. All sold, thanks for the interest.